Hoorah! I joined a Slimming World group and loved it. Hopefully by the time you get to read this, I'll have weighed in and got some good news! And if it's not, that's ok too. I've eaten really good healthy meals this week. I haven't binged or eaten anything which wasn't Slimming World friendly, which was the whole reason for joining a group. To give me the incentive to get back in the groove. I've created a collage of some of the meals, they tasted better than some of them look, I promise you! The mango and chilli salsa was amazing which I had with sausages on a wholemeal roll and potato wedges. Felt very much like a posh takeaway, but all very low syn. Anyway, onto this week's menu, which I'm, sure I will chop and change around a bit as the fancy takes me! Bit light on the meal front as I'm working away in sunny (please be!) Birmingham for a couple of days, so will be eating out. Eeeekkkk! We'll see if I can stick to plan! 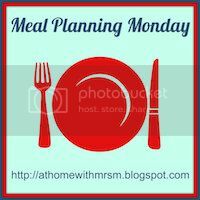 I hardly leave a response, however i did a few searching and wound up here "#MealPlanningMonday w/c 8th April". And I do have 2 questions for you if it's allright. Could it be simply me or does it give the impression like some of the comments look as if they are written by brain dead visitors? :-P And, if you are writing at additional online social sites, I would like to keep up with anything fresh you have to post. Would you make a list of every one of all your community pages like your twitter feed, Facebook page or linkedin profile?